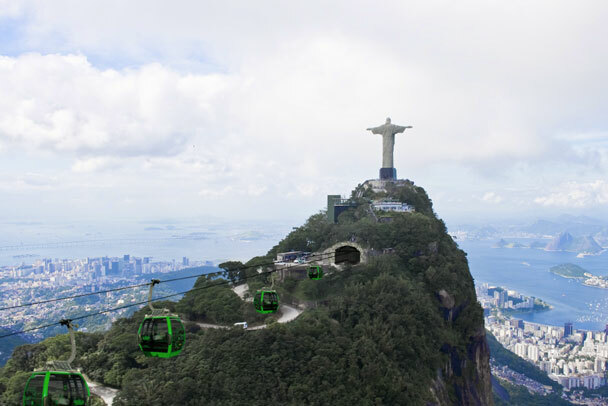 In partnership with a major cable transit manufacturer, this conceptual study the examined the potential applications of cable transit in Rio de Janerio. 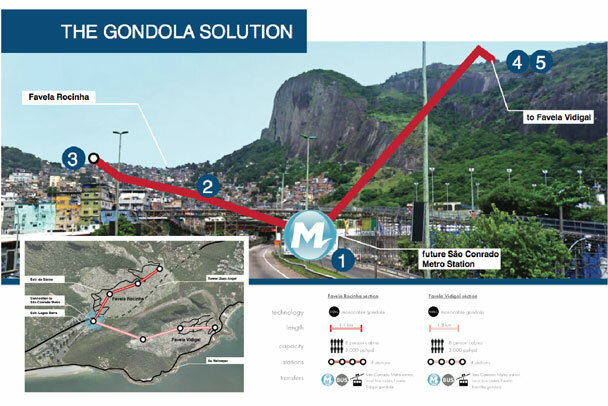 After extensively reviewing transport, demographic, and official plan literature, research yielded five cable transit routings which would complement an existing multi-modal network. 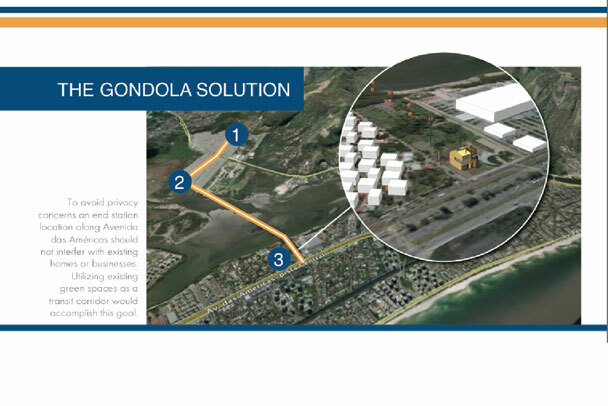 Conceptual designs and renderings were used to help facilitate the visioning process. As several of the lines imagined agreed with the current thinking of city officials and decision-makers, the study was greeted with much enthusiasm and excitement. Plans are currently underway to implement the next stage of feasibility, design, and business case analysis.